Brandy Lodge in Newsham, near Richmond, Yorkshire sleeps 2 people. Brandy Lodge near Richmond is a detached lodge which is hidden within the grounds of the owner’s caravan park and boasts an en-suite bedroom with a large waterfall shower, private hot tub and a raised decked area, perfect for a peaceful drink and watching the fascinating array of wild birds after a day exploring the delights of the Yorkshire Dales, The North York Moors or the Lake District. Inside, the open-plan living/kitchen area is warmed by a log burner, making it a cosy room to snuggle up with a loved one. Complimentary dressing gowns and slippers are also provided. The tiny village of Newsham is an unbelievable base equidistant between the east and west coasts of England, and a short drive from the famous Wainwright’s Coast to Coast walk, which snakes across the country from the Lake District to Robin Hood’s Bay. Just 1½ miles from a main road, which makes it easy to get out and about, or explore one of the many public footpaths right on your doorstep. The property lies 7 miles away from the popular Georgian market town of Richmond, with its top quality restaurants, bistros and bars, as well as antique and gift shops. There is a farmers’ market that takes place occasionally on the cobbled market square, as well as numerous tourist attractions to visit including the historic castle that stands high on the hill and overlooks the thriving town below. Also perfect for walkers and cyclists, are many established public footpaths and cycle ways that pass through Kirby Hill and out through open fields, woodland and unspoilt countryside, and further beyond into the famous Yorkshire Dales. Hamsterly Forest is only 13 miles away which is excellent for mountain biking. Within easy reach are many historic houses and National Trust properties. Barnard Castle is always popular with visitors, where the castle looks down to the tumultuous River Tees below, popular with canoeists, anglers and for riverside walks along the Teesdale Way, Deepdale and Flatts Wood. A haven for discerning shoppers and treasure seekers, the town’s many antique shops provide a charming shopping experience. The Lake District National Park is just a 40-minute drive from Brandy Lodge, and some wonderful natural attractions such as High Force Falls and Brimham Rocks are close by too. The walled city of York is less than an hour away, as is the striking Yorkshire Heritage Coast with its wonderful cliffs, beaches and historic fishing towns such as Whitby. There is a beach 24 miles from Brandy Lodge near Richmond. With the shop 4 miles, and the pub & restaurant are ¾ mile from Brandy Lodge. Ground Floor: 3 steps to entrance. Brandy Lodge near Richmond is all on the ground floor. Living area: With wood burner, 28 Freeview Smart TV and Bluetooth stereo speaker. Kitchen area: With gas cooker, microwave, fridge, freezer and coffee machine. Bedroom: With super king-size bed, beams and en-suite with shower cubicle and toilet. LPG central heating, gas, electricity, bed linen and towels included. Initial logs for wood burner included. Welcome pack. Decked area with garden furniture. Hot tub for 4 (private). Bike store available by arrangement. Private parking for 1 car. No smoking. Holidays at Brandy Lodge run from Friday to Friday. For a better idea of where Brandy Lodge is, you can see Brandy Lodge on the map below. Brandy Lodge is in North Yorkshire; should you be on the lookout for a special offer, you can find all the special offers in North Yorkshire. It's always worth checking to see what is on offer at the moment. 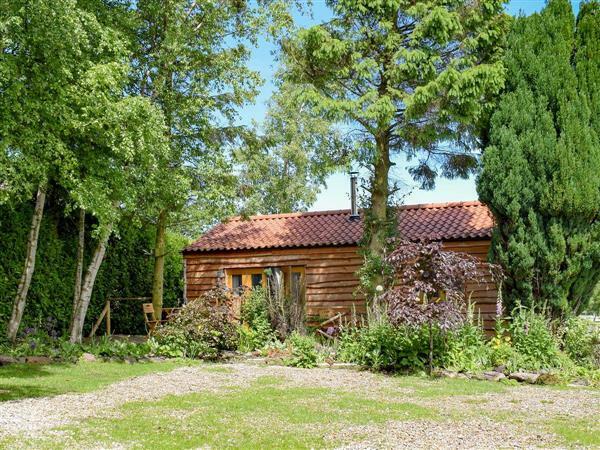 Do you want to holiday near Brandy Lodge (UK2256), you can see other cottages within 25 miles of Brandy Lodge; have a look to find your perfect holiday location.